In baking lingo, a tassie is the term for a small cup-shaped cookie with filling. They can also be called cookie cups. As someone who enjoys baking cookies to give to people as gifts, I am always trying to come up with new ideas that have a little bit of a twist. I think this cookie recipe is just that. White chocolate orange tassies, or cookie cups, are the perfect addition to a cookie tray at the holidays, a fancy decorative contribution to a wedding cookie table, or just about any other event. They combine the buttery crunch of a sugar cookie base with a creamy white chocolate and tangy orange filling that is finished off with more white chocolate on top. How can they not be good? During the holidays I have always made cookie trays for friends and family. I make a variety of about 9 different items including a tassie of some some sort. This is now my go to tassie for my cookie trays and it has been a hit. I've also brought them to a wedding shower where they were a great addition to the dessert table since the bride's colors were orange and white! 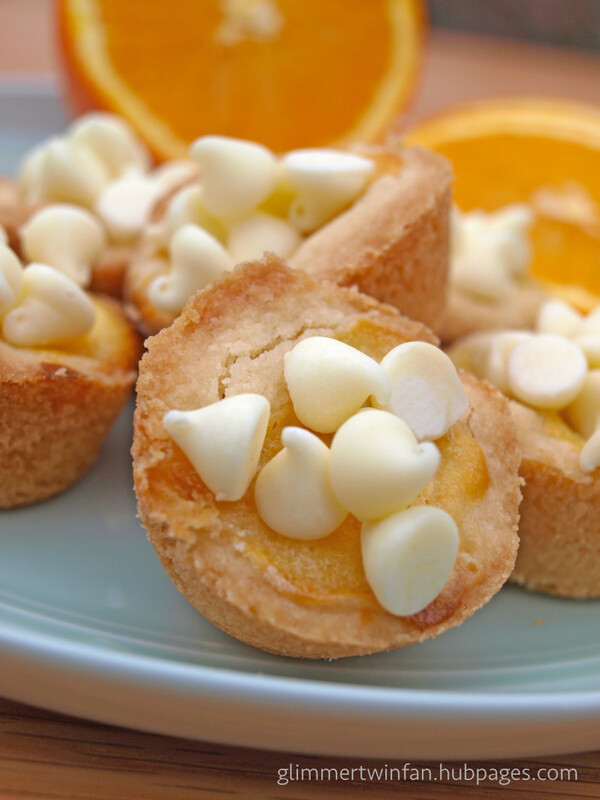 Whatever occasion you decide to make these white chocolate orange tassies for, you and your guests won't be disappointed. This recipe is a bit more labor intensive than some other cookies, but the presentation is beautiful. 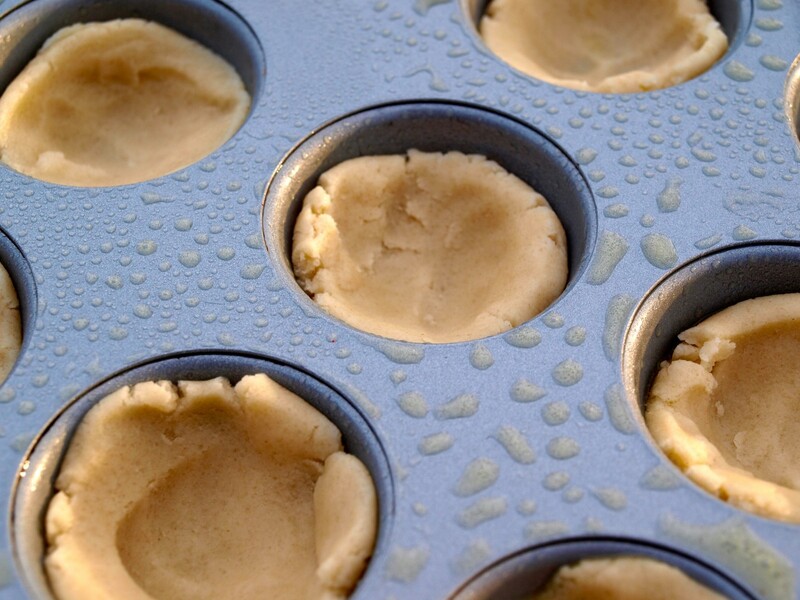 Prepare mini muffin tins by spraying them with cooking spray. In a mixer, cream butter and sugar. Then add flour and about half of the orange zest. Combine until a crumbly dough forms. 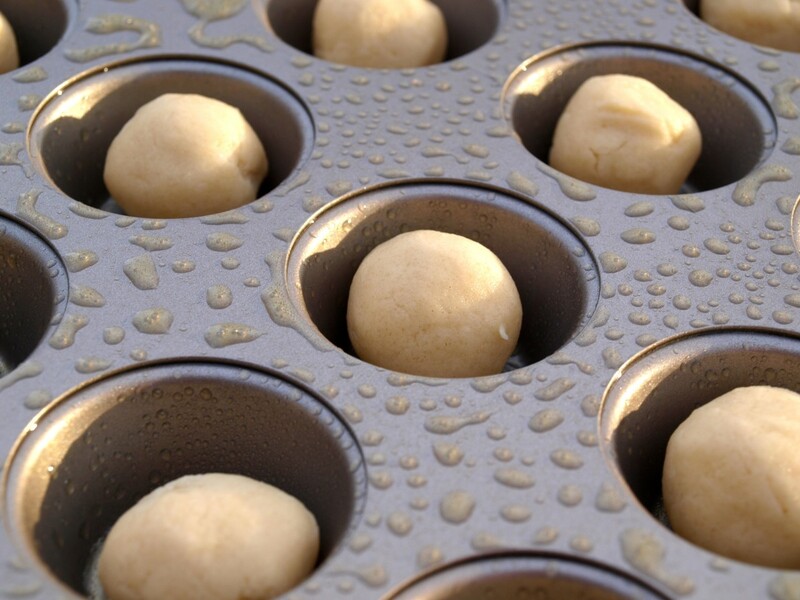 Roll dough into 1" balls and put into the mini muffin tray. 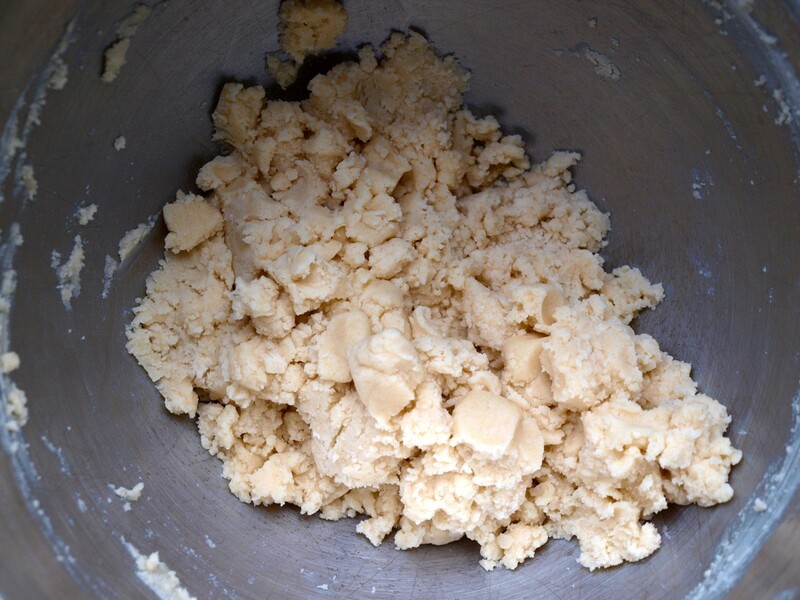 Using your fingers or a kitchen tool, form a cup with the dough ball by pressing the dough down and up the sides. Try and get as large a cup as you can. Put 4 white chocolate chips in the bottom of each cup. Set aside the tray while you prepare the filling. 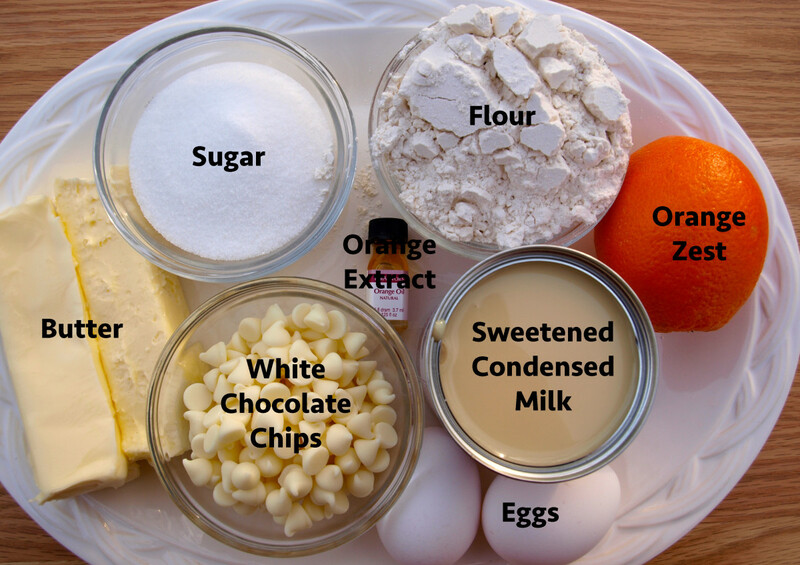 In a medium bowl whisk together the eggs, sweetened condensed milk, orange extract and the remaining orange zest until mixed. Spoon some of this mixture into each cookie cup, fill about 3/4 of the cup. Bake for about 15 minutes or until edges are golden brown and centers are puffed up. Remove from the oven, place the baking tray on a cooling rack and then carefully run a sharp knife around the edge. Careful here, they are still really hot from the oven! 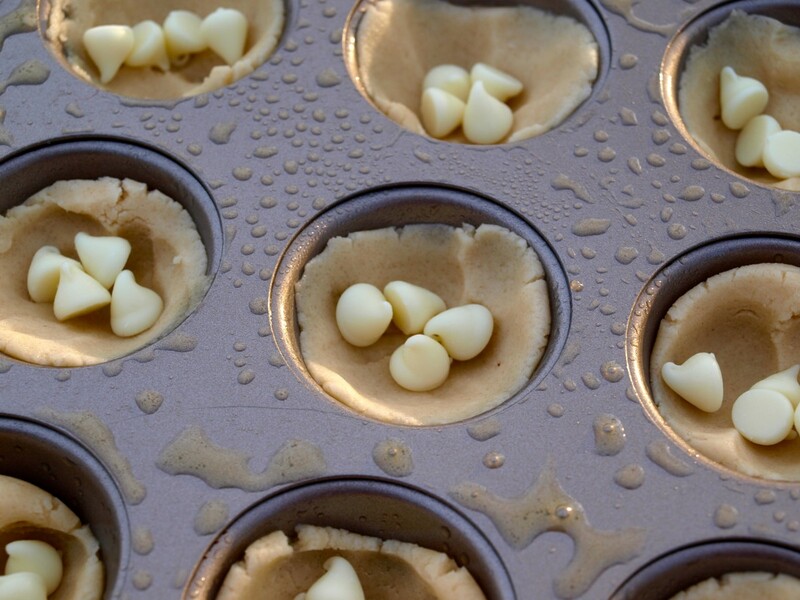 While the cookie is still hot, add 8 white chocolate chips on the top of each one. 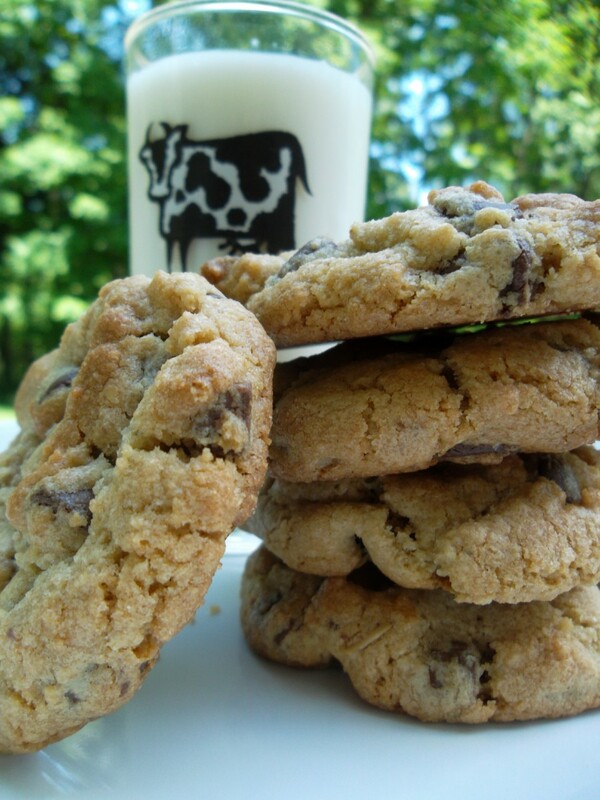 Don't worry, the chocolate chips won't fall off the cookies after they are cooled. They retain their shape, but melt together and onto the cookies. Cool completely before removing from the baking trays. Store in an airtight container in the refrigerator for up to a week or in the freezer for up to 6 months. Note: I'm providing the nutritional information for you, but seriously, these are cookies so who is really counting their calories when they eat one! The same measurements apply to all flavor options. 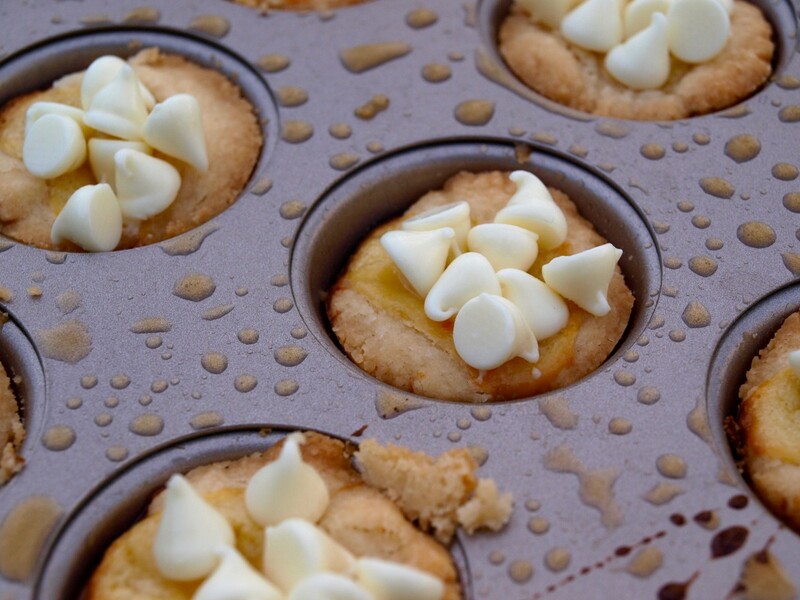 As someone who's baked A LOT of cookies in my life, this white chocolate orange tassie, or cookie cup, is definitely one of my favorites. It's a unique treat that looks and, more importantly, tastes like a million bucks! 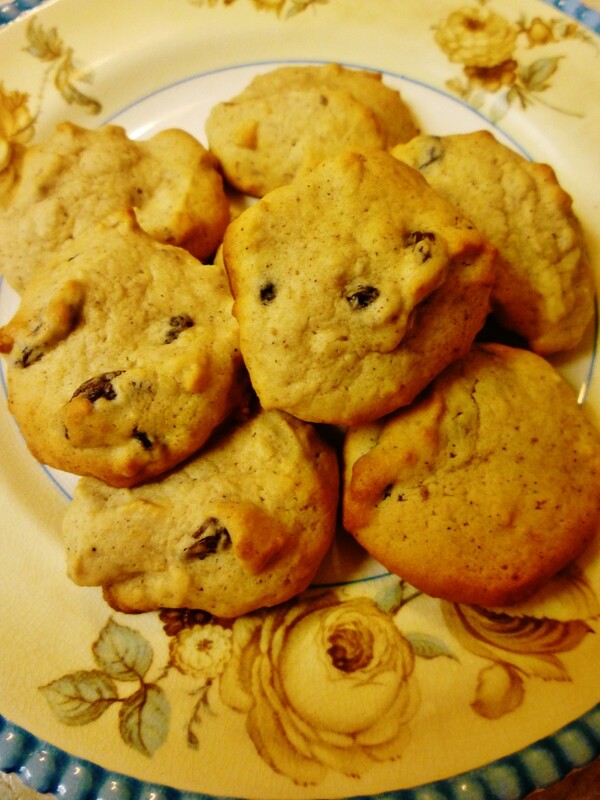 So pour yourself a lovely cup of tea or coffee, grab a couple of these cookies and enjoy! No worries, Glimmer. I hope you have nice summer weather. You're welcome. Apologies that it has taken so long since I responded. I've been out and about enjoying the summer. These are really good so you won't be disappointed if you make them. Thanks for stopping by and reading. Glimmer, this looks delicious enough to eat after you make them. Thanks for this recipe. Voted up! Thank you Vellur. I'm glad you liked the hub and the photos. This was a fun one to write. Delicious! Great recipe, thank you for sharing. The instructions are very easy to follow and the photos make it all the more easy. Great hub. Rajan - So glad you enjoyed this recipe. It might make a good accompaniment to all of the delicious ones you have been posting lately. Thanks for stopping by. Hi Suzanne - Thanks so much for your kind comments. Hope you give the recipe a try. It really is good and a little bit different type of treat. These tassies look so inviting I just need to try them. Your pictures are awesome and explanation just perfect. Thanks for letting me know Marilyn. I'm glad you enjoyed them and saved some for a later snack! Just a quick note to say I tried the recipe and they turned out fantastic, and I froze some for future use. My husband is diabetic, and has to stay away from sugar, so I made some replacing that part with splenda powder and he liked them! Okay. It may not be immediately but I will let you know how they turn out. Hi aviannovice - Hope you give this recipe a try. I'm always curious if the flour substitutes work in my recipes. If you do try it I'd love to know how they turn out. Thanks for reading and commenting! Much appreciated vespawoolf! It was a nice surprise to win this the other day. Thanks for coming back to say hi! Thanks so much Kevin! I appreciate all of the support and nice comments. I think these would be really good with dark chocolate. If you make them I'd love to hear how they turn out. This is definitely a winner--I can substitute the flour for gluten free. I wanted to come back and take another peek at this recipe while congratulating you on a well-deserved HOTD! Those looked delicious Glimmer. I think that I will try them but I may make a small difference. I used to love white chocolate until I heard and read how healthy dark chocolate is for you. So I think that I will use dark chocolate chips instead. I voted this up++, shared and pinned it. Hi Minakshi - I hope you can find a substitute for the eggs, I'm not really sure about that one, but I'm guessing that there may be some substitute. Good luck and I hope you enjoy them! Thanks for stopping by! Hi Marilyn - It is definitely hard not to be tempted by sweets. It's even harder when one writes about them like I do. My family likes it when I do recipes like this one! Hope you give them a try and enjoy them. You can always freeze some of them and take them out in small batches when you want to have something sweet. Thanks so much for reading and commenting. I really appreciate it. Thanks so much oceansandsunsets. They are a nice combo and I do love the orange chocolate combo, a lot. It's also not a combo that one sees every day so that makes the cookies a little special. Have a nice day. Hi Pooie Koo - I hope the cookies turned out nicely. Thanks so much for reading and commenting! It is understandable that you would be tempted to eat the cookies as you went along. They look so yummy! I love the recipe. Hi Elsie - Thank you for your nice comments. This was a hard recipe to take pictures of because I wanted to keep eating the cookies and I needed some for the photos! They went pretty quickly after the photos were taken. Thank you anglwu - I do hope you give these a try next time you bake something. I think you'll enjoy them. I really appreciate all of your shares Bobbi! Thanks! You are so right, these are nice for all sorts of occasions. A nice fancy cookie for a special occasion. Thanks again for your support. Thank you so much Allison Loker - It is a nice combination and the white chocolate is so rich that the orange helps cut that a bit. They are decadent though . I appreciate you stopping by. Wow - RTalloni - That sounds like a lot of work to make the substitutes but these are worth it. I'll be curious to know how they turn out. Thanks for coming back by and your kind comments. Hi findyourfashion - I think you could use dark chocolate chips instead of white ones. 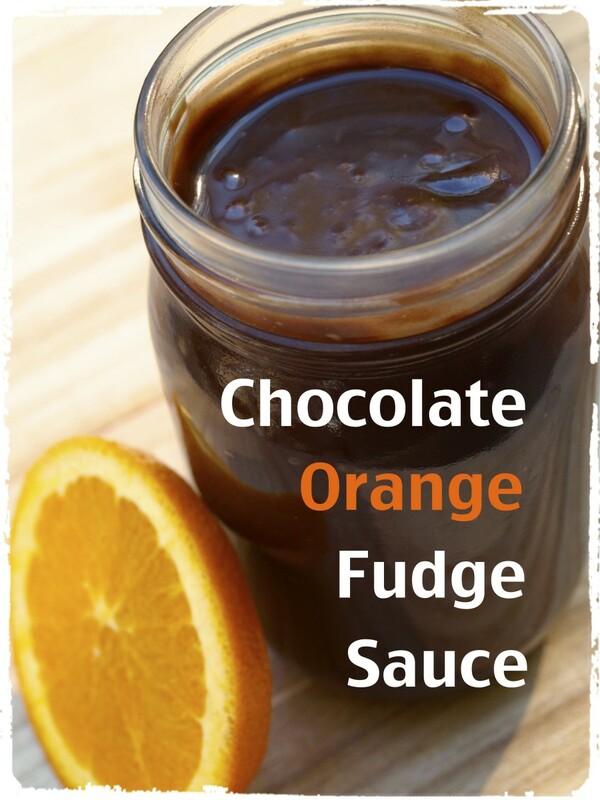 It would be a different flavor, but I love that combo of orange and semisweet chocolate. Thanks for reading and commenting. Enjoy the cookies. Thanks so much Au Fait - I appreciate it and was so surprised when I got the HOTD! This seems really good will give it a try is there anything one can substitute egg for the filling to make it vegan. Thanks will definitely give it a try, I love orange zest. Oh my, I guess it is ok to indulge once in a while. I usually do not eat any sweets at all, but I found that there are alternatives to sugar that will work as well. This is a great recipe, and mouth watering! I love the easy steps to follow to achieve a great consistency and taste! Great information! 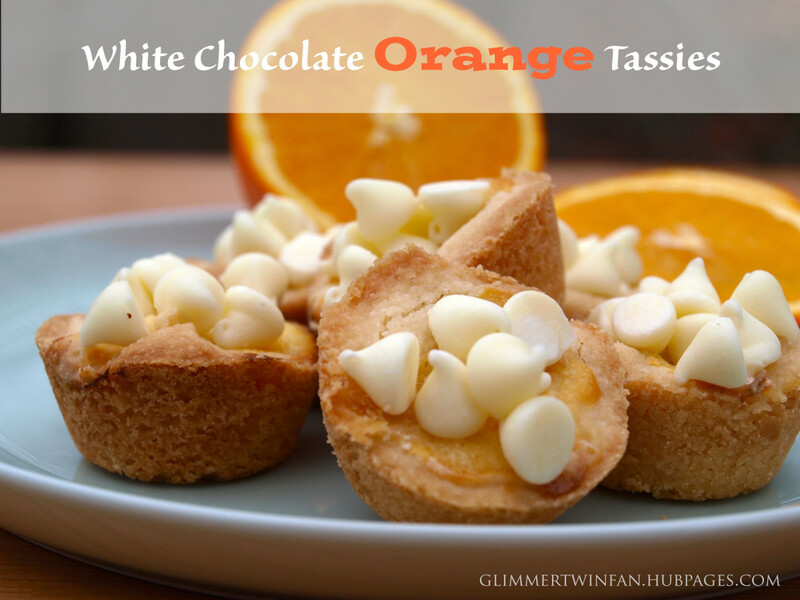 White chocolate orange tassies sound so interesting, at first. Upon reading this, they sound like they would be so good! I love things with citrus, and chocolate and orange as a combo have been around a while, but this white chocolate idea is one I have to try. I think they look amazing. Thank you for sharing this! It looks fantastic, must try to do it tonight! Really appreciate your share! 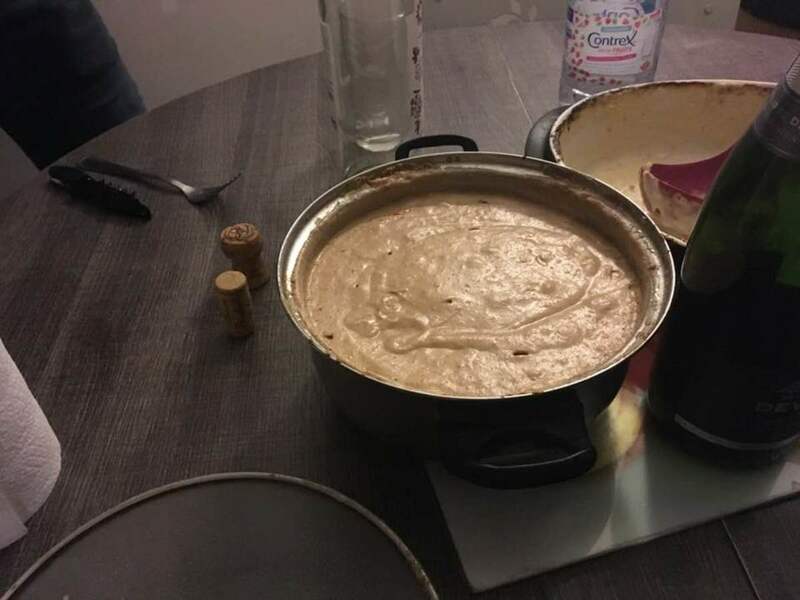 Very interesting recipe, I can taste them before I even cook them, thanks for the recipe and helpful pictures, just follow them and there's no mistake. Looks so delicious, I've got to try making them. Congrats on HOTD. Hi tillsontitan - Thanks so much for your kind comments and all of your support. I hope lots of folks make these and enjoy them as much as my family does. One thing that is really nice about these tassies is that they are refreshing any time of year and they aren't too heavy a cookie. Aw shucks Bill, thanks so much for all of your support and encouragement. It really means a lot and thanks for coming back to say congrats. Your recipe looks so delicious---I swear I just added another pound just looking. These would be handy for many events---family and social. I liked the way you showed us step-by-step instructions--it is an easy recipe to follow. I am sharing with Twitter and Pinterest on my re-pin board. These look fantastic! 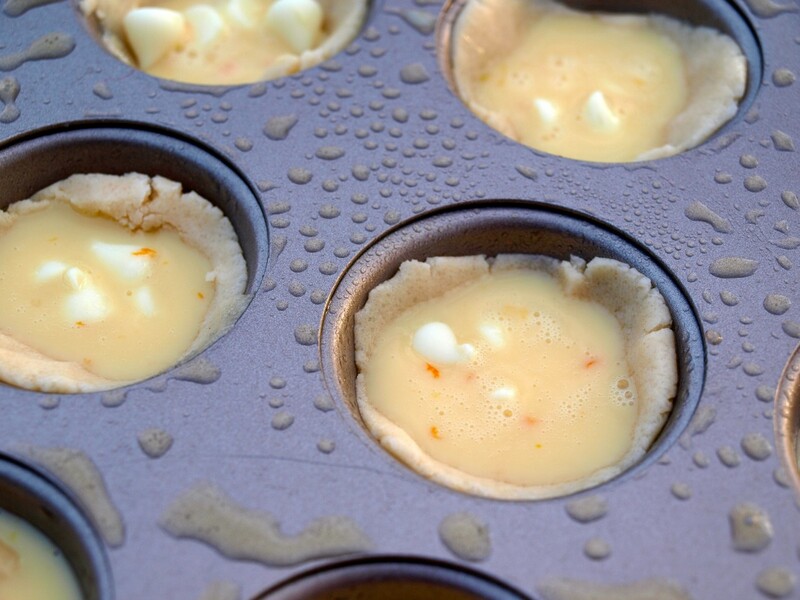 I rarely bake with citrus and the combination of orange and the richness of white chocolate must balance each other out splendidly! Thank you so much for sharing and congrats on HOTD! Hi Mary - Many thanks for all of your support and kind words. You won't be disappointed with this cookies when you bake them. Enjoy the rest of your weekend. Just back to say congrats on Hub of the Day for this neat hub! Am planning to use real goat milk, something like cajeta (not one of the milk substitutions like oat or almond milk), to make the butter and condensed milk. Don't do that often (time and having goat milk on hand)... Anyway, I'm looking forward to trying it. They are looking amazing. I will need to to try them. Do you think i can use black chocolate instead of white chocolate? Don't like white chocolate so i will have to take an other. These do look yummy! Congratulations on HOTD! FlourishAnyway - Thank you so much for your kind comments! I really appreciate them and hope you give this recipe a try. It's yummy and it was such a nice surprise to win this award today. Hi Arachnea - You probably could swap our dried cranberries for the chocolate, but the centers would not be as creamy. It would definitely give it a nice fruity zing and the combo of orange and cranberries is really good. Thanks so much the support! I had to come back to say Congrats on HOTD! Looks like I popped in earlier and didn't post my comment. Ha! Anyway, shared. Also, these look delish. I wonder if it's possible to swap out the white chocolate for "craisins" instead. Great hub. You really have to try a tassie/cookie cup colorful one. They are delicious and a bit extra than just one cookie. Thanks so much for stopping by. Hi katiedejuan - So glad you enjoyed the recipe and hope you'll give it a try. Thanks for reading and commenting. Have a nice day! I really appreciate it heidithorne. Your comment means a lot to me. It was such a lovely surprise to get the HOTD today. Thanks and have a great rest of your weekend. Thanks so much allamazingstuff! I really appreciate it. Hi chin chin - I'm glad you'll be adding to your list of home baked goodies. I like to make things for people too and this one is unique and delicious. Thanks so much for reading and commenting. Many thanks pstraubie - And thanks for the shares and support! I hope angels are on their way to you too. Glimmer it's easy to see why these are such a success! They look scrumptious and the ingredients say they are. What a great dessert. I have a feeling there's gonna be a lot of white chocolate orange tassies being made. 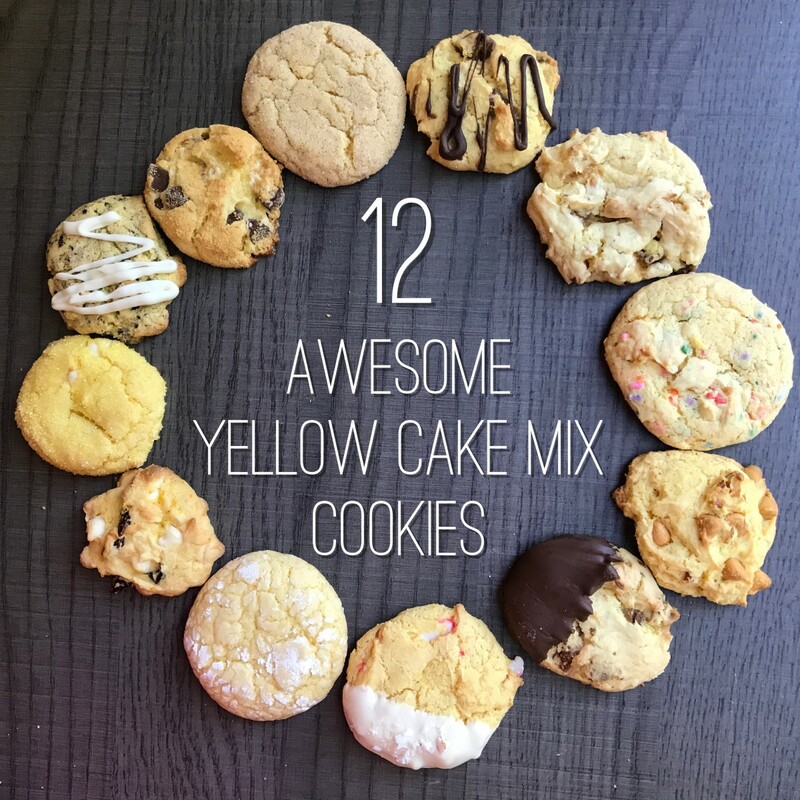 I make lots of cookies year round, and I will certainly add this recipe to my file. Congrats on HOTD. You did a great job with your presentation, photos, etc. I voted Up, etc.etc. and will share. Congratulations on HOTD. This was such a well done recipe hub, as all your hubs are. Have a terrific weekend! These look marvelous. I wonder if it's possible to substitute dried cranberries (craisins) for the white chocolate. These tassies look as yummy as can be. I do not believe I have ever had a cookie cup, but I would love to try one. A well deserved Hub of the Day! Congrats! Your hubs are always useful and have great photos. Happy Weekend! wow! I really can't wait to try them! These tassies surely are a great addition to home-baked goodies that I could prepare as food gifts. Looks really yummy, especially with the chocolates. You have outdone yourself with this one, Glimmer. Yum, yum....I will be giving these a try very soon. Many thanks Sally - I really appreciate all of your support. These are definitely worth baking. I think they'd be nice for an Easter table as well, nice and pastel. Have a lovely weekend and thanks again. Hi my Success8 - I hope you give this recipe a try. It's really worth it. Thanks so much for your kind comments about the recipe as well as my photos. I appreciate it very much. Hello again DaphneDL and thanks for stopping by. 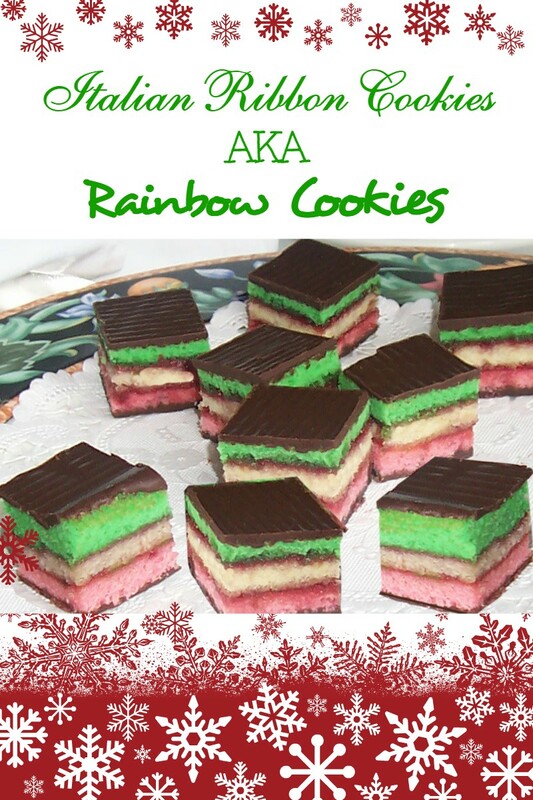 These are one of my favorite holiday treats to make and a little different than some other goodies that folks make. Have a nice weekend. Another well deserved HOTD - congratulations, this is a gorgeous looking hub and those cakes look good enough to eat, definitely something worth baking. Very clear directions for making this really delicious-looking tassies, being supported very well by your many amazing and clear photos. I would love to try this. Congrats on Hub of the Day! These look and sound delicious! I look forward to trying the recipe. Happy New Year 2015 to you too Glimmer Twin Fan!! starstream - So glad you stopped by to check out the recipe. I think you'll enjoy it. Happy New Year to you. Hi BlossomSB - That is one of the things I like most about this recipe, it's a little different. People really like this one and I have heard that comment before. Thanks so much for reading and your kind comments. I'm happy you'll be giving them a try KoffeeKlatchGals - Happy New Year to you! Happy New Year RTalloni - I'm not sure how you could adjust for your allergies...do they make non-milk condensed milk? I hope that the right substitutes are available because these are good. Good luck and thanks for reading and commenting! vespa - You definitely have to try a tassie recipe. They are usually made with pecans, but can be made with anything. Give this one a try and I hope you like them. Happy New Year! HI rls8994 - So glad you like this recipe. It's a good one and we just finished off our Christmas batch. Hope you make some soon and thanks so much for stopping by and reading. These cookies look beautiful and tasty. 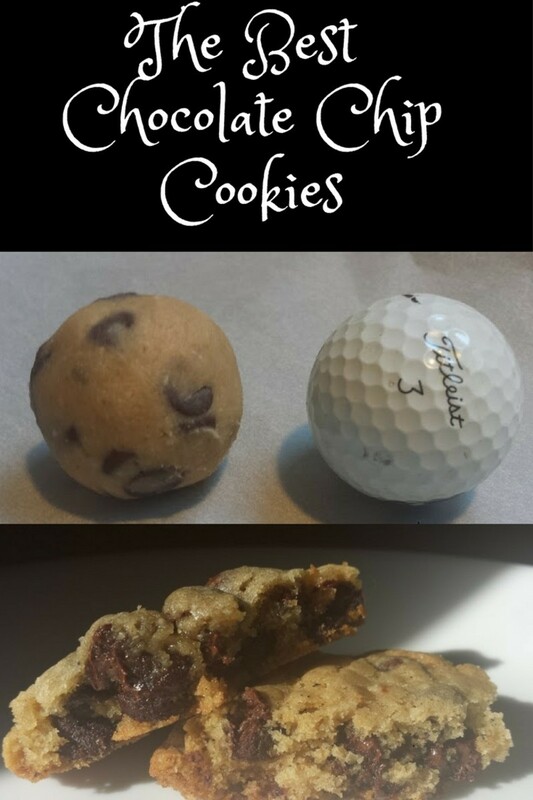 I have never seen a cookie recipe like this one. Certainly I'll make it soon. Thanks for sharing it with us. Many thanks for the share and pin Rebecca! Happy New Year to you and I hope you try this recipe soon. That looks like a very interesting and useful recipe, and I'm sure it tastes great. thanks for sharing. Thanks peachpurple. Hope you figure out how to get that tray in the oven and enjoy the cookies. Happy New Year to you. These cookies sound absolutely delicious. I most definitely will be trying your recipe. Oooohhh, oooohhh! Orange and chocolate together are irresistible. Though I'll have to make some adjustments due to cow milk allergy I believe it will work out fine and now I have something different to serve up. Thanks for an educational and interesting recipe hub. Happy New Year to you and yours! Hi randomcreative - I'm happy that you liked the recipe. Thanks for stopping by and Happy New Year to you. Happy New Year to you and your family Bill and thanks for reading. Glad you learned something new LOL! Now surprise your family by making them some. Thank you travmaj and Happy New Year to you. 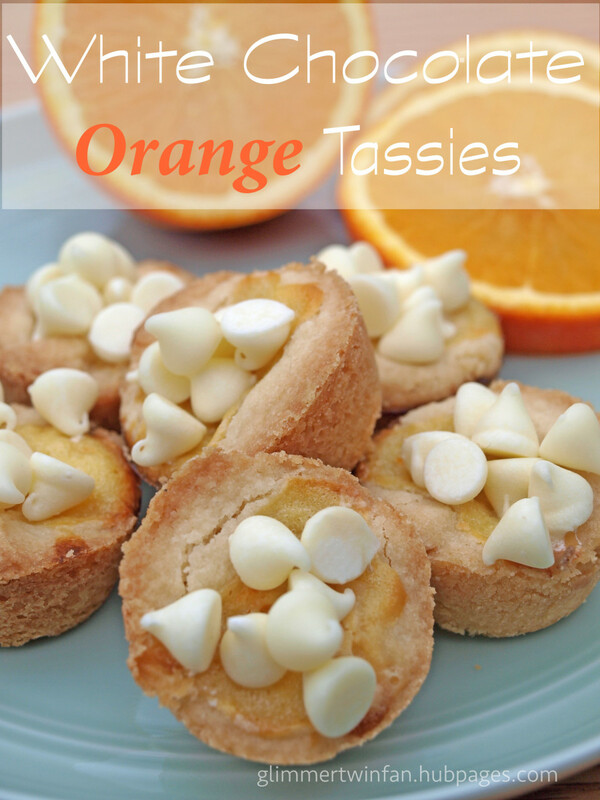 I´ve never made tassies, but the combination of white chocolate and orange sounds hard to beat! They don´t sound hard to make, either. I´ll have to see if I can find some orange flavoring next time we go downtown. 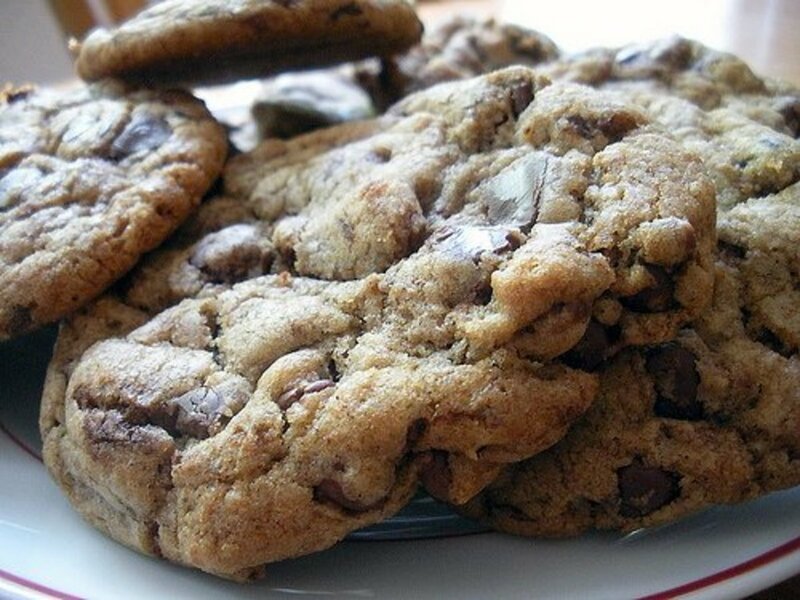 Thanks so much for sharing your favorite cookie recipe! Hi Marina7 - I appreciate you stopping by and reading. Happy New Year! Thanks so much Eddy and Happy New Year to you! Gosh, I agree. How cold they not be good. White chocolate and orange sounds like a delicious combination. Pinned to my Holiday foods board and shared. Super cute and so easy! Thanks for sharing. Glimmer, these look absolutely yummy. I learned something new today, I had no idea what a tassie was. Another great recipe. Happy New Year. Thanks so much breakfastpop and Happy New Year to you as well. Hope I still see your commentary on current events in the new year! Hi Kourtney - I absolutely love lime, nice for the summer. And you are right, it's not too difficult, just a little more labor intensive than some other cookies. Thanks for reading and Happy New Year to you. Thanks for all of the nice comments teaches! I appreciate it. I still love your candied orange peel hub and did make it. It was great. Glad you liked this recipe and hope you get a chance to make it soon. Looks good, no doubt tastes good, thank you for this. All best wishes for 2015.